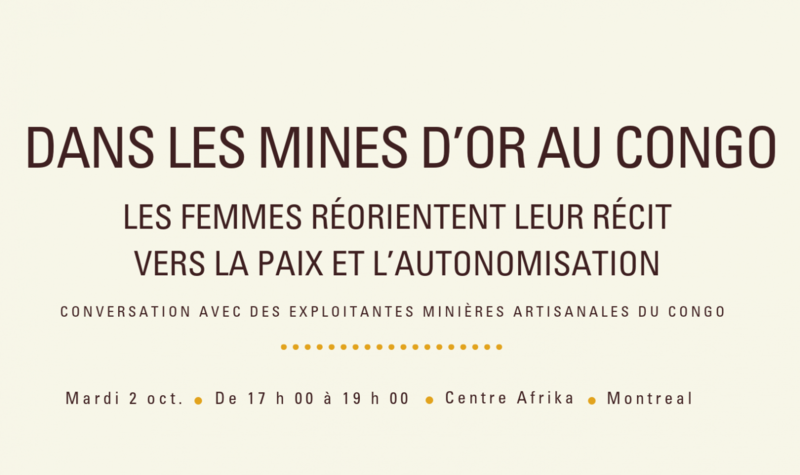 Meet two women artisanal gold miners who will share their experience and how they are changing the narrative on Congo & conflict minerals—to one centered on peace, development, and women’s economic empowerment. Kahambu Vaherenie and Moza Zawadi are artisanal gold miners and women leaders in a remote community in Congo’s northeastern Ituri Province. They will share their first-hand experience as women gold miners and how they’re paving the way for increased gender equality and women’s rights in Congo. More information on the Centre Afrika website. IMPACT, formerly Partnership Africa Canada, has been transforming how natural resources are managed in areas where security and human rights are at risk for over 30 years. We investigate and develop approaches for natural resources to improve security, development, and equality. We are an independent non-profit, collaborating with local partners for lasting change.